A recent 18-country survey conducted by Employer Branding International revealed that the majority of companies use Social Media for Employer Branding, coming out on top as the main channel used today to deliver and enhance employer brand messaging. View the full report below. 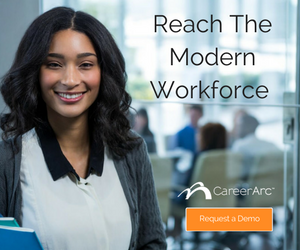 When asked to identify the main medium their company plans to use to communicate their employer brand, respondents overwhelmingly pointed to social media as the preferred channel—beating career websites, referral programs, and even online job boards. More than any other listed activity, social media was cited as the main activity companies are currently undertaking to enhance employer brand, surpassing recruitment advertising, employee referral programs, and using an applicant tracking system. 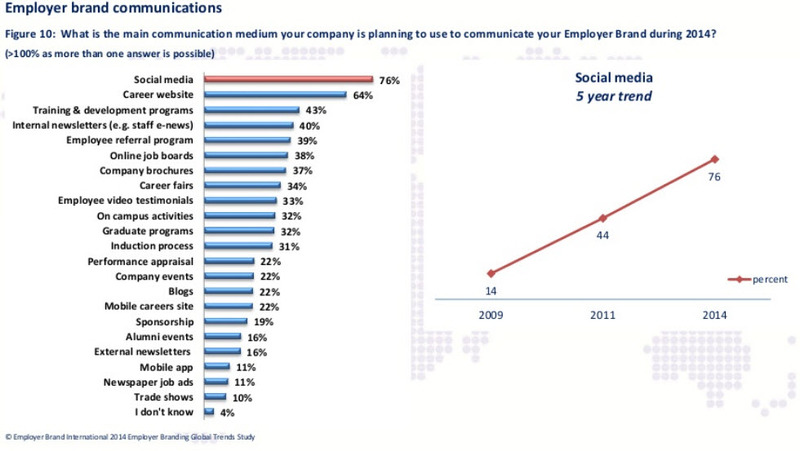 Social media use has grown five-fold within five years as the leading medium in communicating employer brand. Social media has truly risen into a prominent place in the Employer Branding toolbox. Used only by 14% of respondents in 2009, social media has significantly grown in use as a communications channel, as claimed by 76% of respondents today. Measuring social media use as an Employer Branding Initiative, the report found that adoption rate rose by over four-fold in the past five years. Not counting the 17% of respondents who have “not identified” their most effective employer branding activity, social media beats other activities in gauging employer branding efficacy, such as career website development and ranking in best employer awards. But let’s return to that significant 17%–those who were unable to pin-point which initiative produces the best ROI. This measurement is likely linked to a larger issue consistently observed by the survey: the majority of companies lack clarity in their own employer branding strategy and metrics. Only 17% of respondents have a clear employer branding strategy. The rest either plan to further develop their strategy or have no strategy at all. The report notes that this 17%–although relatively small—is actually an improvement from the 14% surveyed to have a well-defined strategy in 2011. However, if we were to view this figure within a five-year scope, the amount of perceived clarity in one’s employer branding strategy has only ticked up one percentage. Stepping back from these figures we see a wide acceptance of social media as an enterprise tool for communicating one’s brand to the world. But that’s not enough. The next step is clearly defining a social strategy to deliver a clear employer brand message and story. How does your employer branding strategy and social media use measure up against these stats? 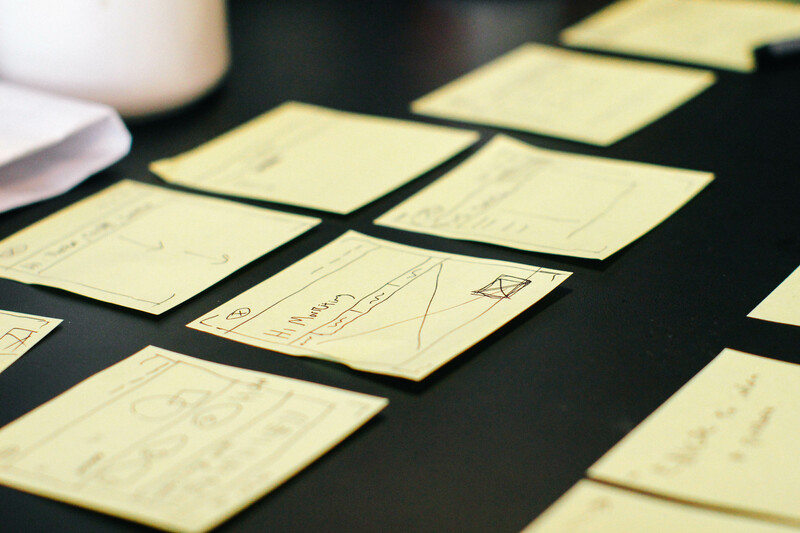 Do you know what your most effective employer branding activity is? A recent 18-country survey revealed that the large majority of companies choose social media for employer branding and awareness efforts. Learn why.